Spacious Howler Room bathroom offers all the amenities expected--and the unexpected! A windowless room with a view, this bathroom has two folding shutters for privacy or open wide to allow you and a jacuzzi to get acquainted with natures botanical gardens. 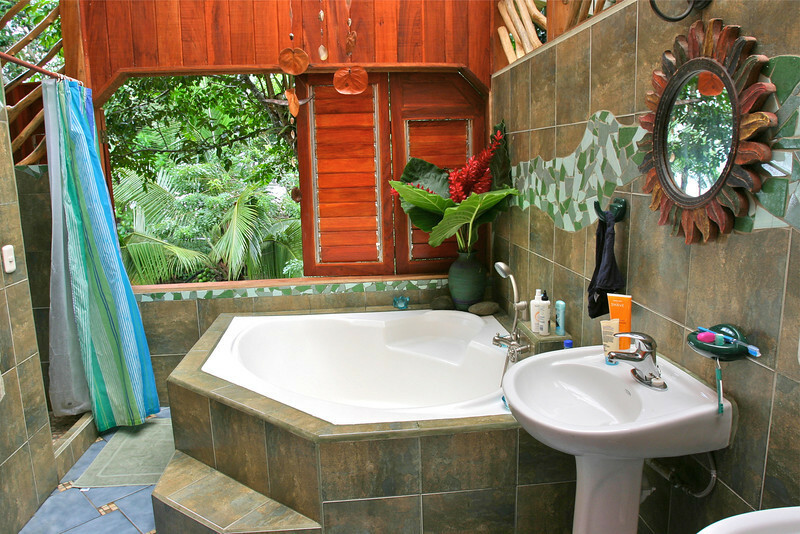 While natural jungle breezes refresh the environment a cool shower, adjacent to the jacuzzi, provides quick relief from the humidity. You can find this little piece of heaven at the Banana Azul, Puerto Viejo de Talamanca, Limon, Costa Rica, on the Caribbean coast.